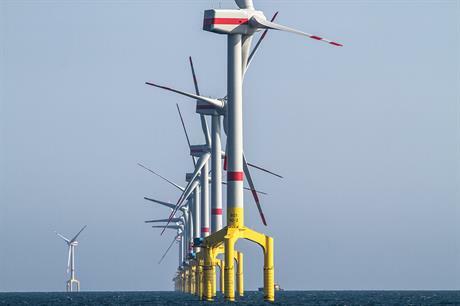 GERMANY: French developer-utility EDF Energies Nouvelle (EDF EN) has acquired German offshore wind operations and maintenance firm OWS for an undisclosed fee. OWS is the company currently responsible for the O&M of the 400MW Bard Offshore project in the German North Sea. EDF EN said the deal comes with the renewal of the servicing contract with Bard's owner Ocean Breeze Energy for a further ten years. The French firm said the acquisition complements its current O&M operations through its Reetec subsidiary, in which EDF acquired a stake in 2007. EDF's footprint in offshore wind is currently minimal, but CEO Antoine Cahuzac indicated the firm's desire to grow in the market. "We are delighted to welcome the OWS staff who will share their unique experience of the O&M activity in the offshore wind sector with EDF Energies Nouvelles," Cahuzac said. "This deal is a good opportunity for the EDF Group which has strong ambitions in the offshore wind project development, in line with its CAP 2030 strategy aimed at strengthening its presence in renewable energies by 2030, both in France and abroad by 2030," he added. EDF EN is part of the Eolien Maritime France (EMF) consortium developing 1.4GW of offshore projects in France, including the sites at Fecamp, Courselles sur Mer and Saint-Nazaire. EDF EN also owns the offshore wind demonstrations sites at Blyth, UK and Frederikshavn, Denmark. In November 2016 the firm was selected by the French government to develop the Provence Grand Large floating wind project in the Faraman zone, in the Mediterranean.